Lynette S. Byrd, J.D. - Oberheiden, P.C. CAUTION - Please note: Do not send us any confidential information. By clicking “accept” you agree that our review of the information contained in your e-mail and any attachments will not create an attorney-client relationship between you and our firm or any lawyer in our firm and will not prevent any lawyer in our firm from representing a party in any matter where that information is relevant, even if you submitted the information in a good faith effort to retain us, and, further, even if that information is highly confidential and could be used against you. Lynette Byrd is a former Assistant United States Attorney (AUSA). 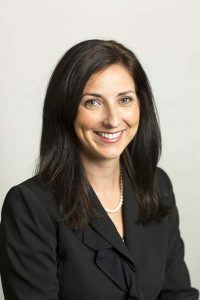 Her practice focuses on civil and criminal litigation, Medicare and insurance audits, as well as general advice and counseling in health care law. During her tenure as a federal prosecutor with the Department of Justice, Ms. Byrd represented the United States in a variety of matters and federal trials. Her extensive government experience includes the review, analysis, and case determination of qui tam and whistleblower lawsuits, investigations pursuant to the Federal False Claims Act and the Civil Monetary Penalties Law, the Anti-Kickback Statute, and Medicare fraud. In that capacity, Ms. Byrd worked closely with the Centers for Medicare and Medicaid Services (CMS), the Office of Inspector General (OIG), the Department of Health and Human Services (HHS), the Federal Bureau of Investigation (FBI), and other law enforcement agencies. Ms. Byrd has substantial trial experience. Ms. Byrd has served as first chair and lead counsel in numerous jury and bench trials, including appellate matters. Ms. Byrd represents physicians, health care business owners, and executives accused of fraud, health care fraud, mail fraud, and other white collar offenses in federal proceedings across the United States. Several of her current trial cases involve the defense of physicians against fraud allegations in the context of home health and Medicare laws. Clients seeking effective defense strategies against government investigations, OIG subpoenas, Grand Jury subpoenas, ZPIC audits, ZPIC appeals, insurance audits, and professional board complaints appreciate how Ms. Byrd has merged superb litigation skills with a profound understanding of health care law. When you hire us, you will not work with paralegals or junior lawyers. Each lawyer in our Health Care Practice Group has handled at least one hundred (100) matters in the health care industry. So, when you call, you can expect a lawyer that immediately connects with your concerns and who brings in a wealth of experience and competence. For example, you need someone like Lynette S. Byrd, a former federal prosecutor in health care matters, who recently left the government and who is now sharing the valuable insights she gained as a health care prosecutor with our clients. Attorney advertising. Prior results do not guarantee similar outcome. Copyright © 2019 Oberheiden, P.C. Former federal prosecutors are available to talk now. Tap here to call.